With Hal Tube, Jasper Morrison has reinterpreted the classic shell chair. The Hal Studio is a versatile version of the shell chair, which also impresses with a clear, contemporary expression. It was designed by the designer as part of his HAL collection for Vitra and is ideal for the office with its 5 star base made of aluminium with wheels. The shape of the seat shell enables dynamism of movement, and the slightly flexible plastic allows different seating positions - even sideways or astride the chair. 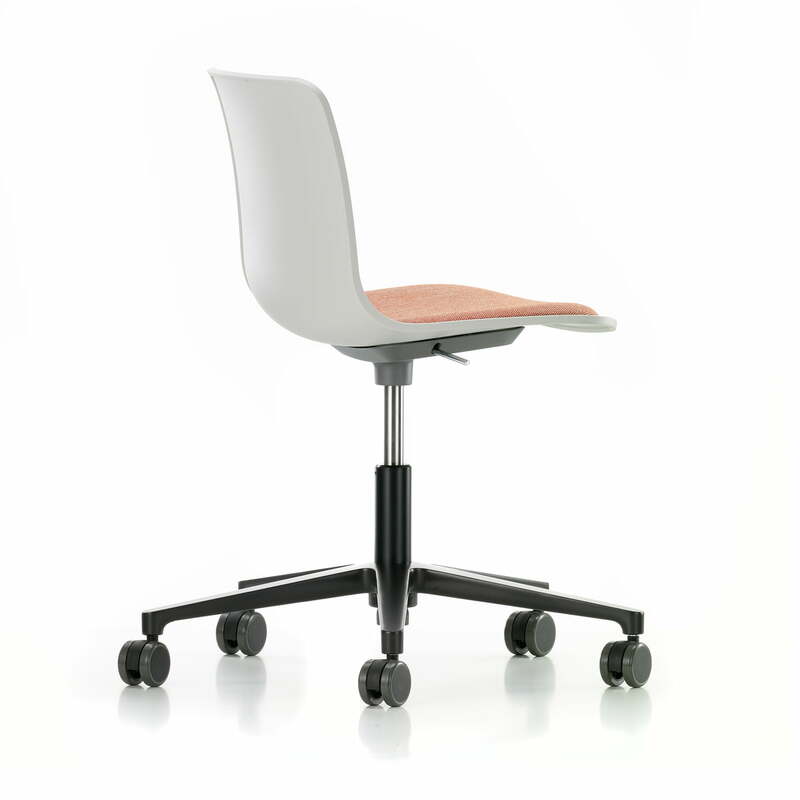 This is how the Vitra Hal promotes dynamic, ergonomic sitting. The base of the Hal Studio Chair by Vitra is powder-coated and the seat height is continuously adjustable by means of a gas spring. The different colors of the shell allow the integration of the chair into any room. 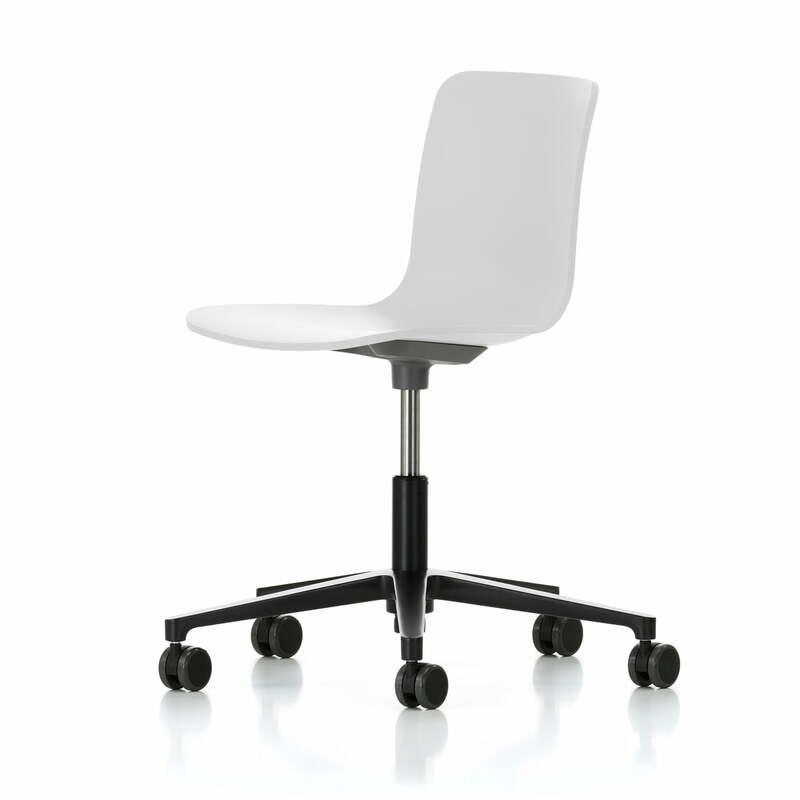 Individual image of the HAL Studio swivel chair with castors for hard floors by Vitra in white / basic dark. The swivel chair is part of the HAL collection by Jasper Morrison. 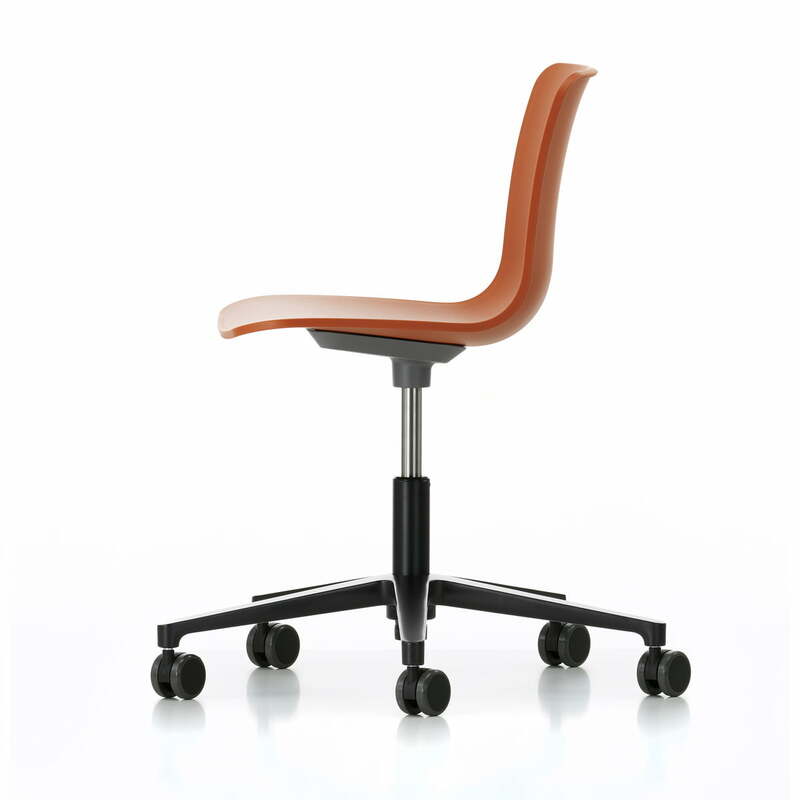 Side view of the Hal Studio swivel chair with castors for hard floors by Vitra in orange. The base of the Hal Studio Chair by Vitra is powder-coated and the seat height is continuously adjustable by means of a gas spring.